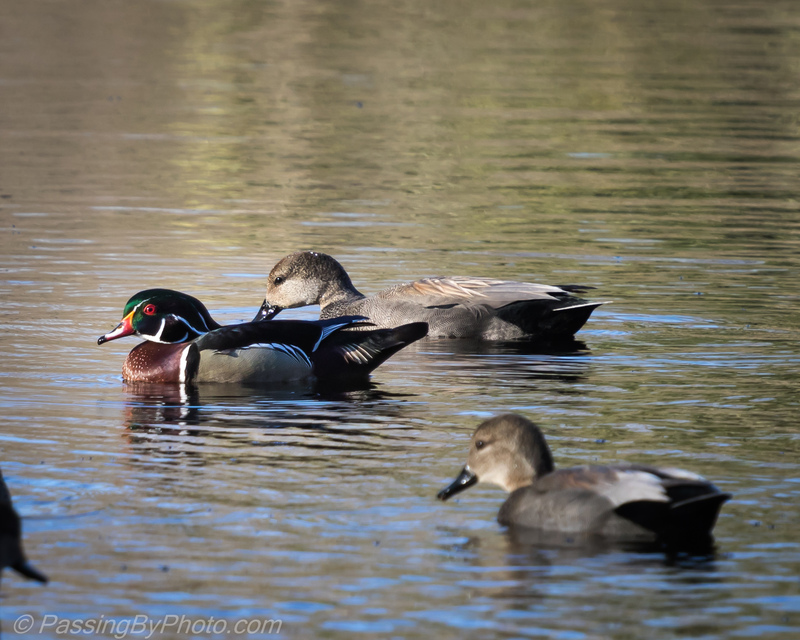 A few Wood Ducks have been around the ponds at Magnolia Gardens over the last month. 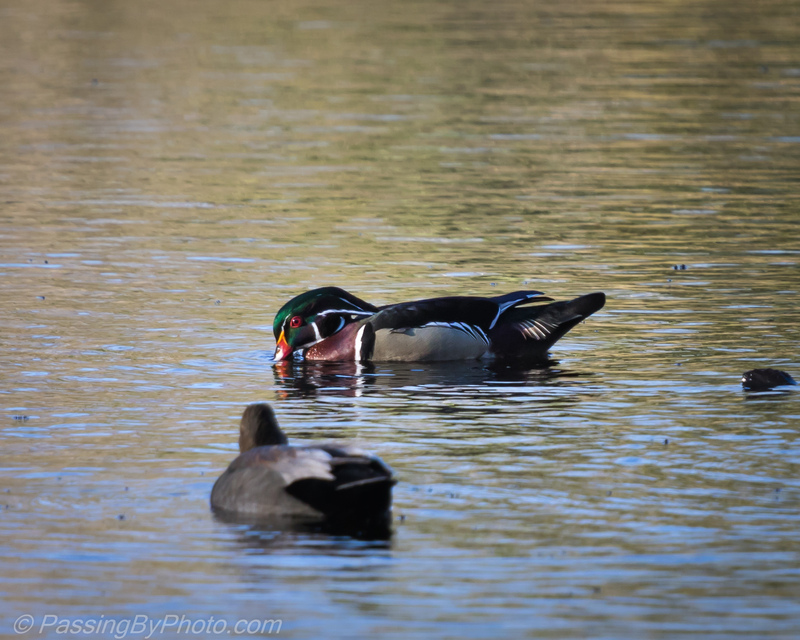 With the males’ color scheme they are easy to pick out in a crowd of ducks. That and they are usually retreating faster than the rest, having been aware of a human before you spot them. This day they were gathered at the far end of the big pond. I waited at an opening in the brush for them to edge their way closer. Back and forth, I finally got a couple of shots without too much glare on the water.